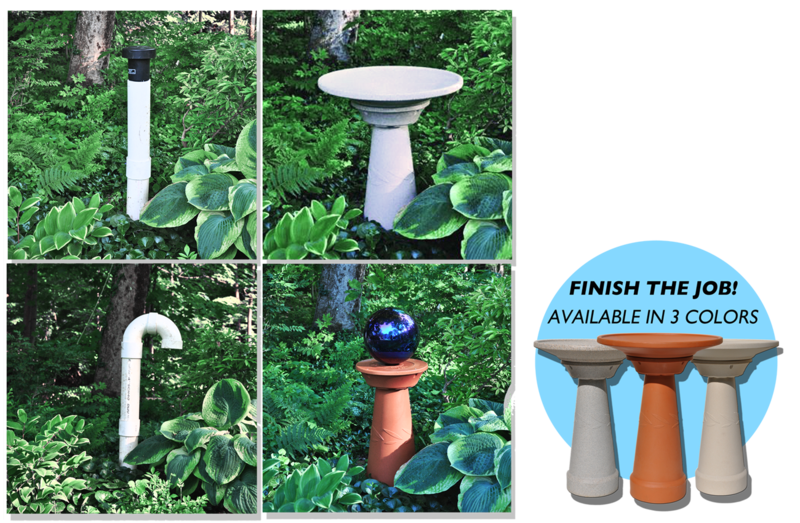 Looking to hide the unsightly septic vent or tubing in your yard? The Dirty Bird is the lawn decor you’ve always wanted. 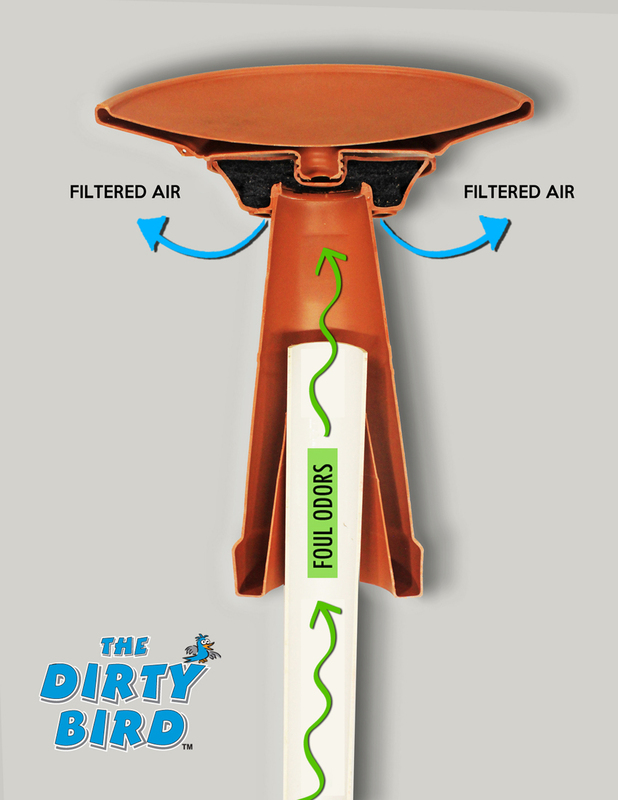 Offering air and odor filtration, The Dirty Bird is a one-of-a-kind product that is attractive, functional and environmentally safe. The Dirty Bird Septic Vent is the only decorative vent that was designed, engineered, produced and tested in the USA to specifically be a septic vent with odor control. This do-it-yourself install product turns an eyesore into a focal point in the amount of time it takes to cut a PVC pipe. “The ‘Dirty Bird’ was a perfect solution for my yard. 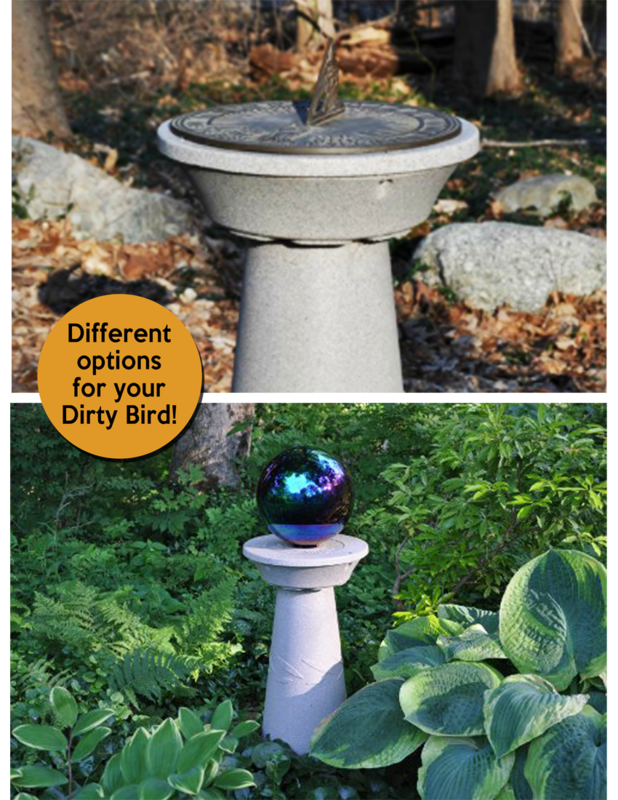 Use The Dirty Bird as a pedestal and place your potted plant, sundial, garden globe, or use the included bird bath on top.